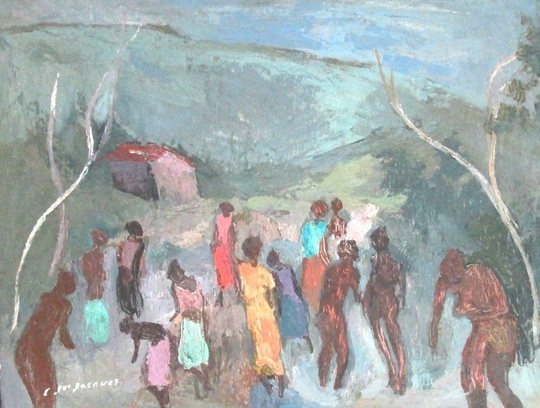 Jean-Jacques was born on May 1, 1943 in Port-au-Prince. 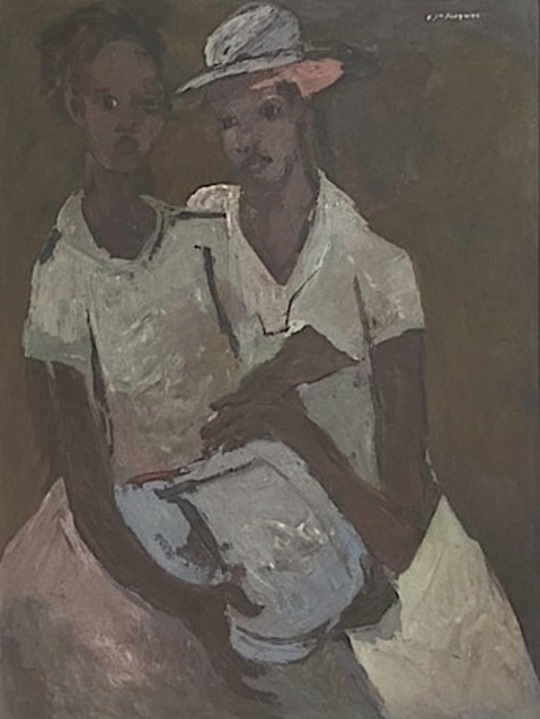 He was attracted to drawing at an early age and after completing three years of high school took a correspondence design course at the ABC school in Paris. 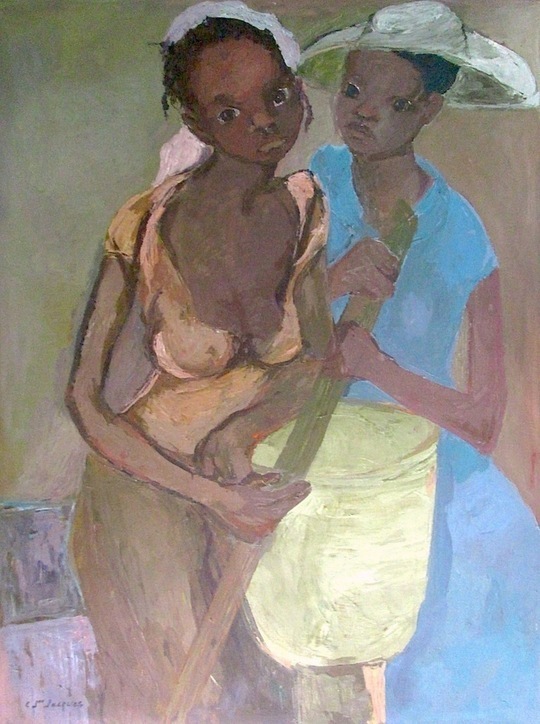 Entering Joseph Jacob's studio in 1963, he studied under the tutelage of Dieudonné Cédor and eventually learned impressionism. Jean-Jacques left the Jacob studio in 1966 and spent the next three years living the life of an impoverished "hippie bohemian." 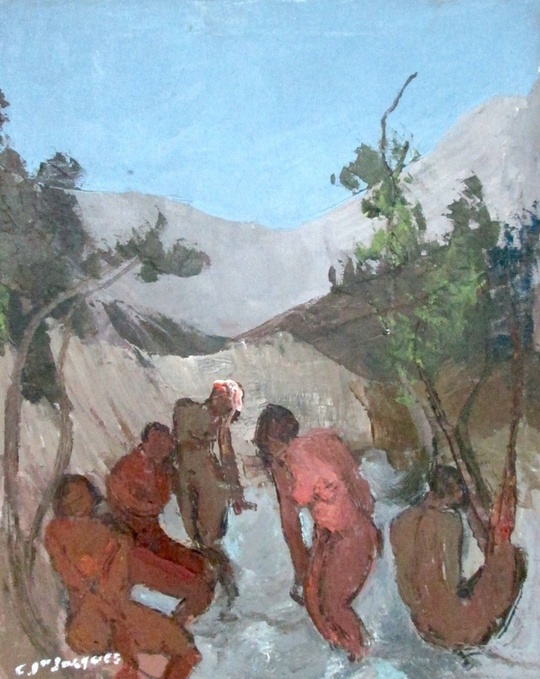 In 1969 he approached the Monnin Gallery with a painting, and they accepted it. That was his start "on the road back." 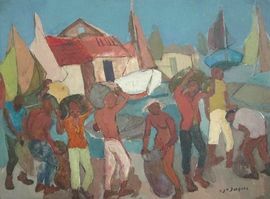 Gradually he returned to a productive lifestyle, aided by Calixte Henry, who had a studio in the same gallery. 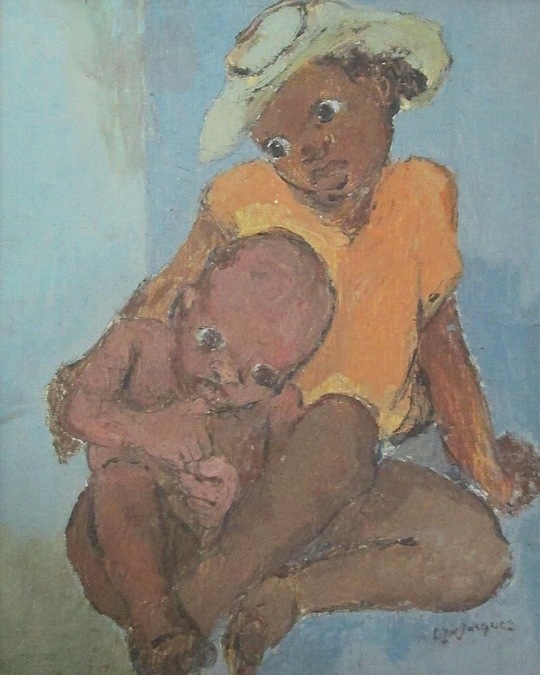 By 1979 he was painting in earnest. 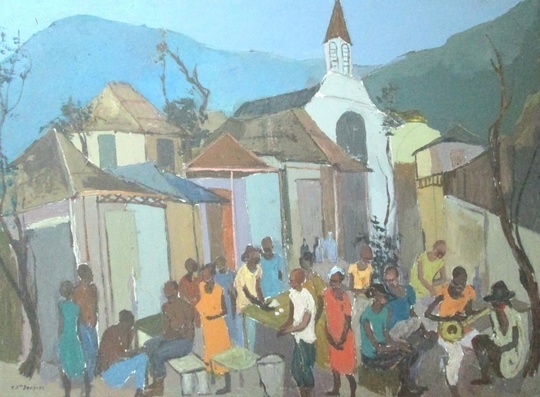 His paintings highlight the grace and dignity of the poor country people who inhabit the slums of Port-au-Prince. 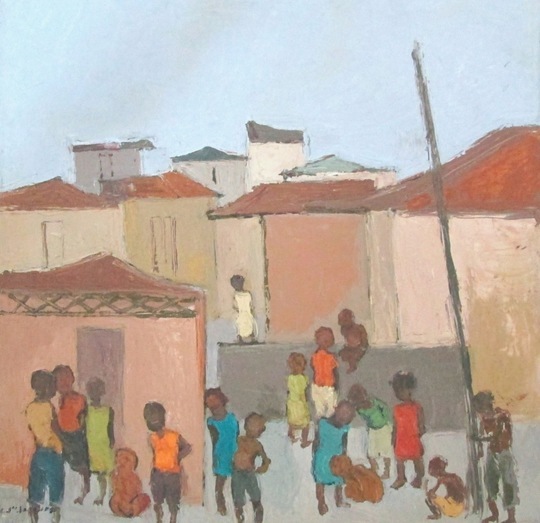 Disturbed by social injustice and the great misery of the slums, he uses strong emotional content and pure lines to create canvases that touch the viewer. Carlo Jean-Jacques has an international reputation as one of Haiti's premier painters. He died of AIDS in 1990.